On Wednesday I had the opportunity to visit The Guard ian located at King´s Cross with the journalism society from university. There we were informed about their history as well as how they are expanding to the US and Australia. It was also interesting to know about their process and everything that goes on before the paper is published as well as their articles online. We also met one of The Guardians investigative journalists ,Shiv Malik ,who gave us a lot tips and ideas on what we as journalists should be like and what we could do to improve our journalistic skills. Social Media, have an account for everything…. Also, as we were not a big group we got the chance to visit their news room, which was really exciting to see, specially with all their journalists working at their desks in front of a computer and a phone in the other hand. 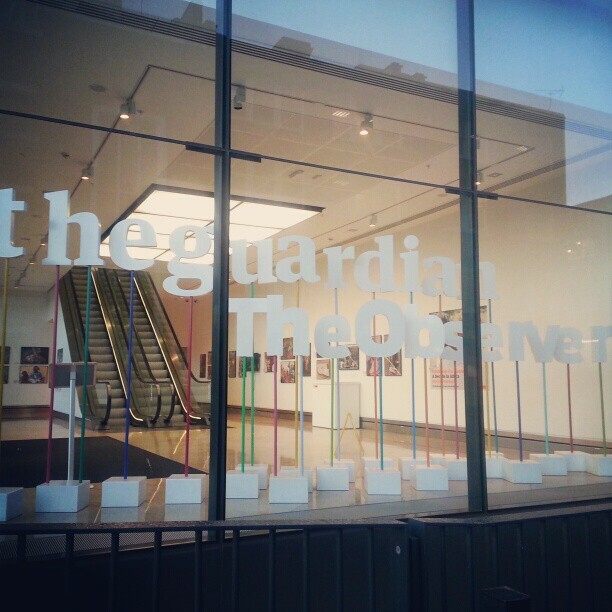 The Guardian is located in an big modern and light building shared with other offices and a concert hall. They keep it original with some old memorabilia from when they started back in 1821. As journalism is known for being a competitive and hard business I really appreciate doing these visits and meeting working journalists. I get a lot of inspiration from it and hope, of what I can accomplish as a journalist in the future. I think more people should take these chances specially when we live in London, a city known for its media and news papers and specially being university students as I believe it is good to get as lot of information as possible and be prepared for the near future.